A little over a month ago, I threw a DIY My Little Pony Party for my 5-year-old. 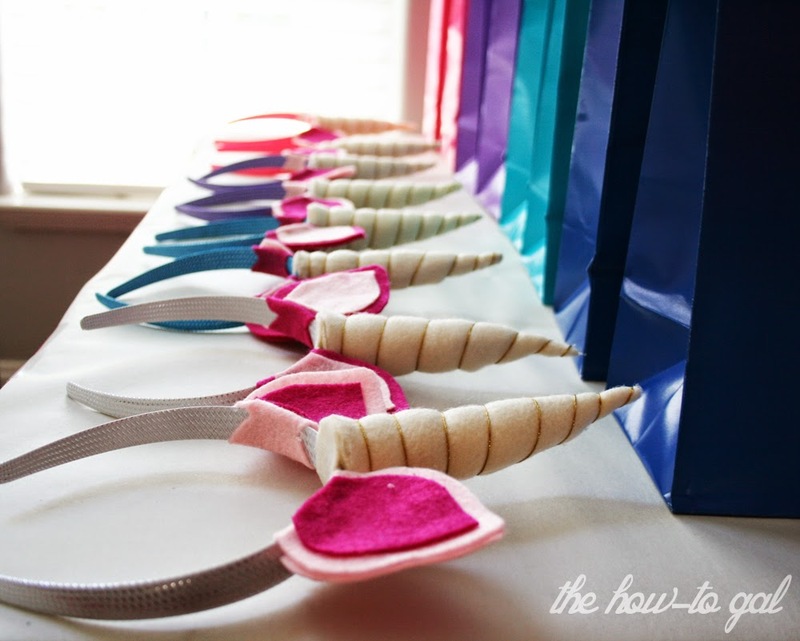 For the party, I made unicorn horn headbands for all of the girls and promised a tutorial! 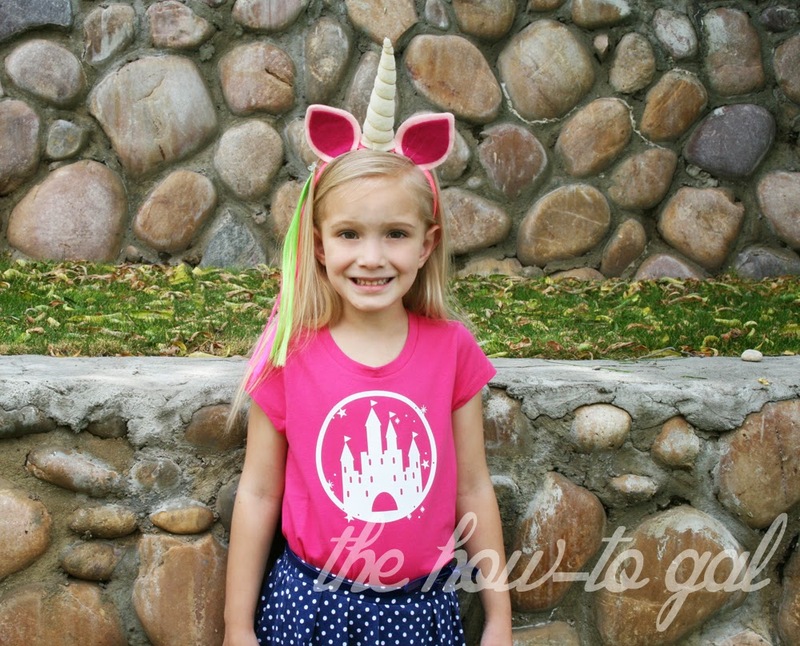 Want to make some super easy, but awesome unicorn headbands? 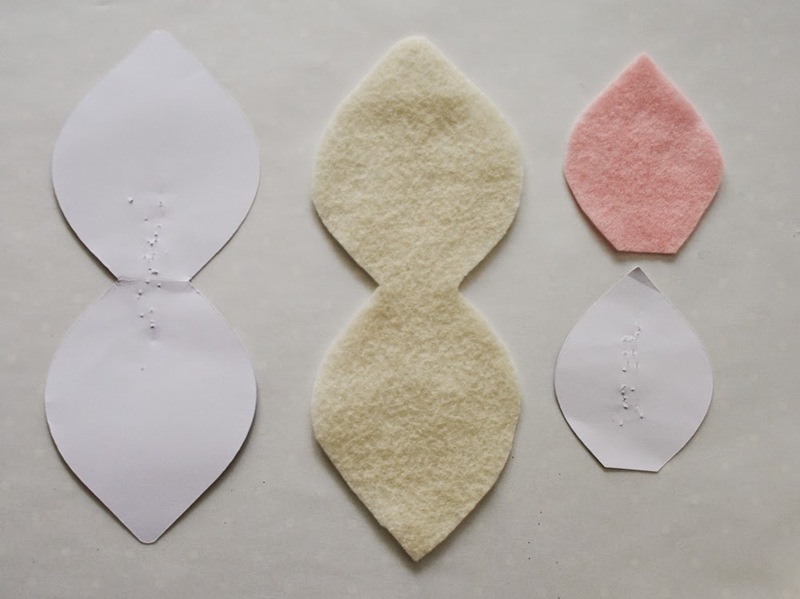 Felt (cream and pink), paper, stuffing, gold thread, hot glue gun and glue sticks, scissors, headband. and sewing pins. Start at the top of the horn and slowly roll it into a point. 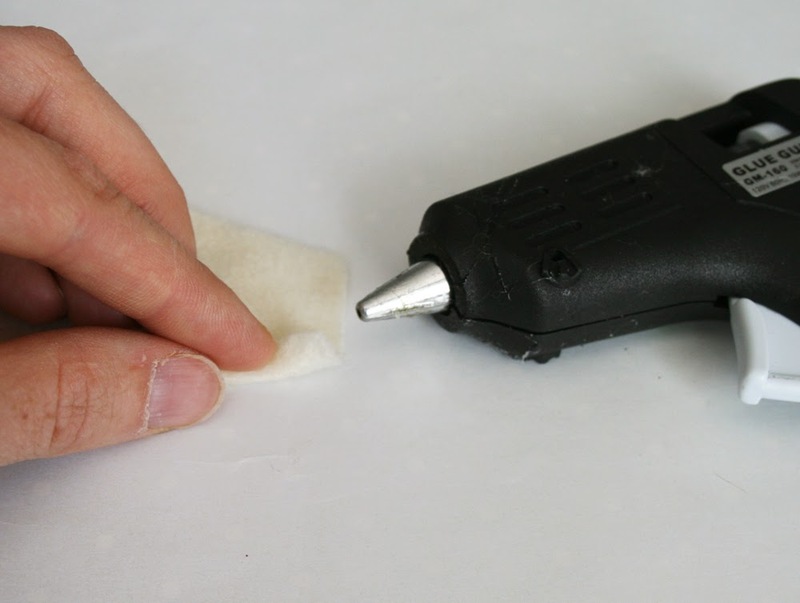 Use the hot glue gun to secure it ever roll or so. When the top is completely rolled and glued in place. Bring both of the ends together and glue. 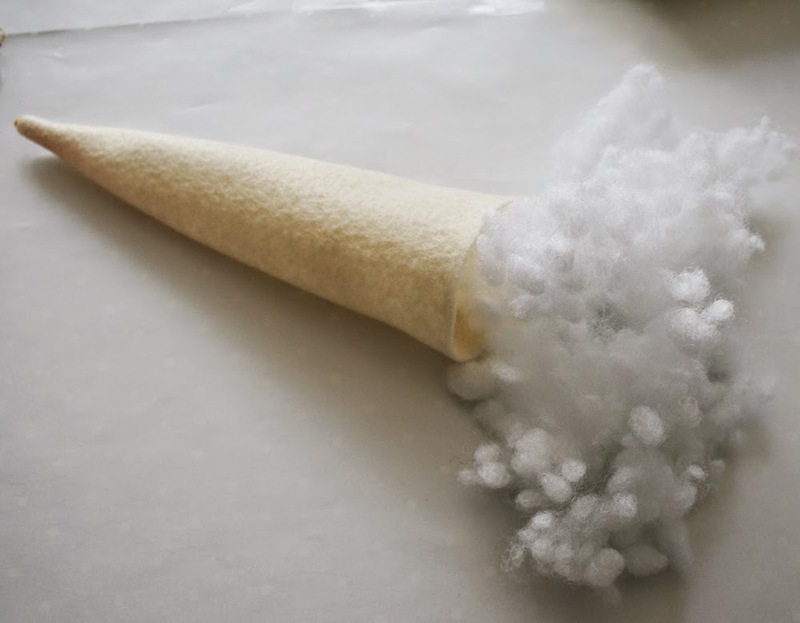 Stuff the horn with stuffing or batting - I used pillow fill from an old pillow. 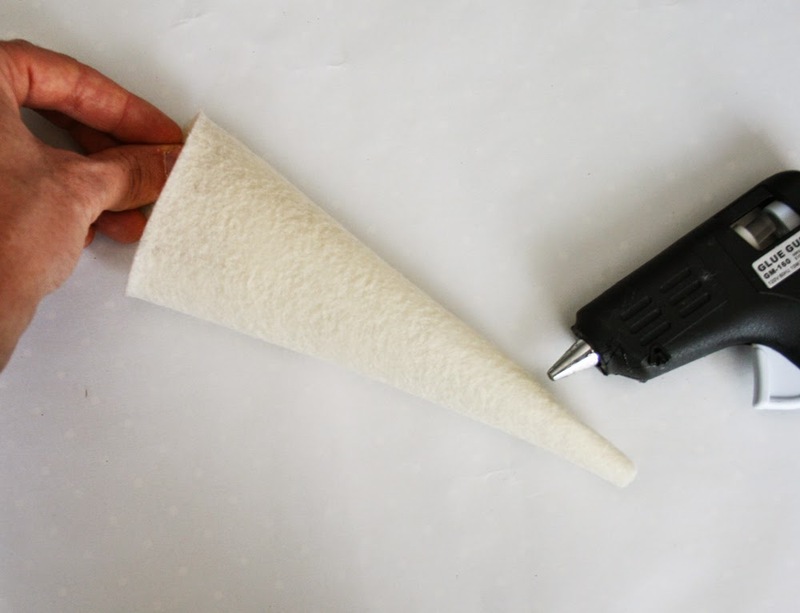 Cut a small circle of cream felt and close the horn's opening. 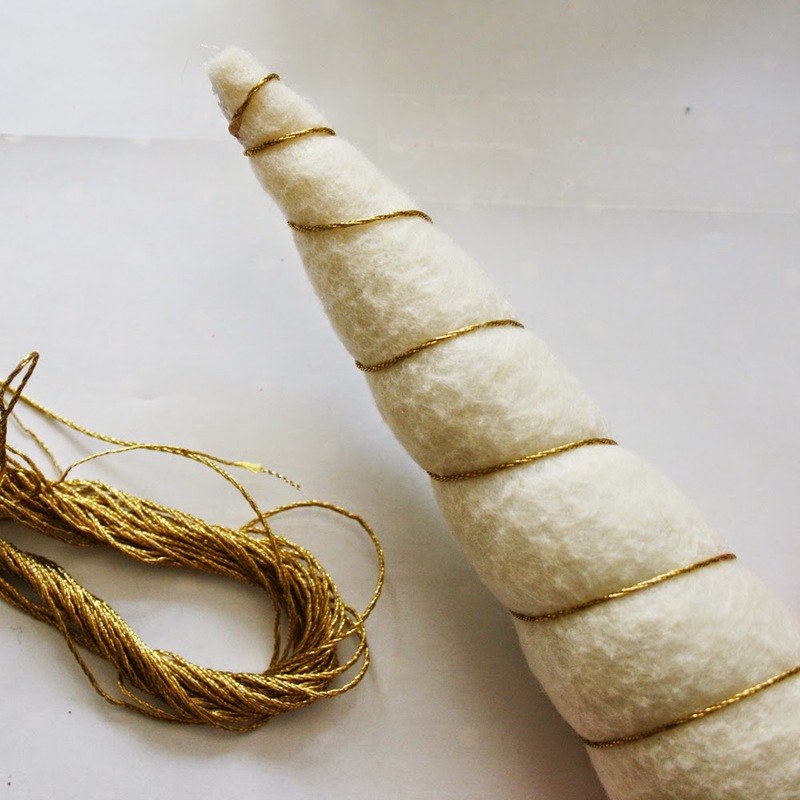 Start at the top of the horn, glue a piece of gold thread to the back where the felt pieces meet. 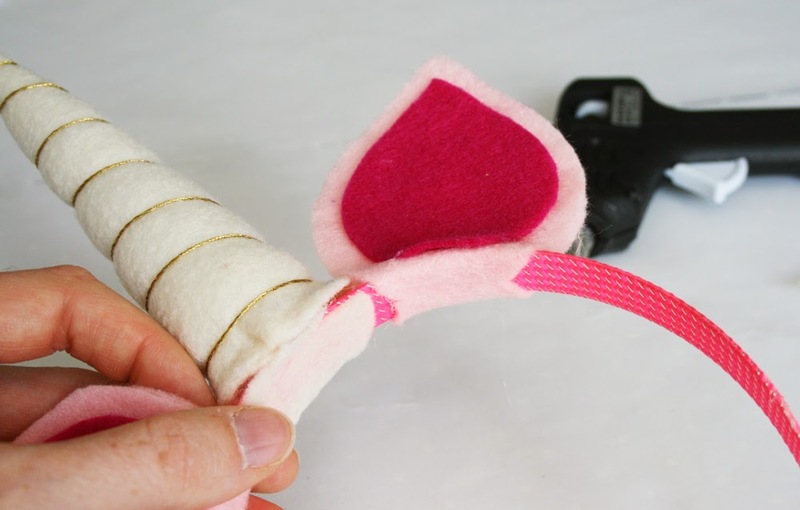 Wrap the thread around the horn, pulling on it a little to give the horn definition. 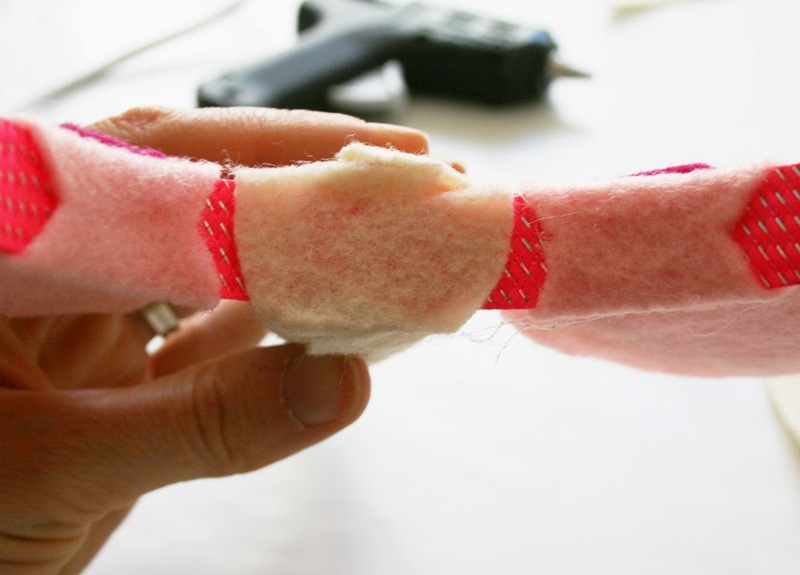 Cut the thread and glue the end to the bottom of the horn. 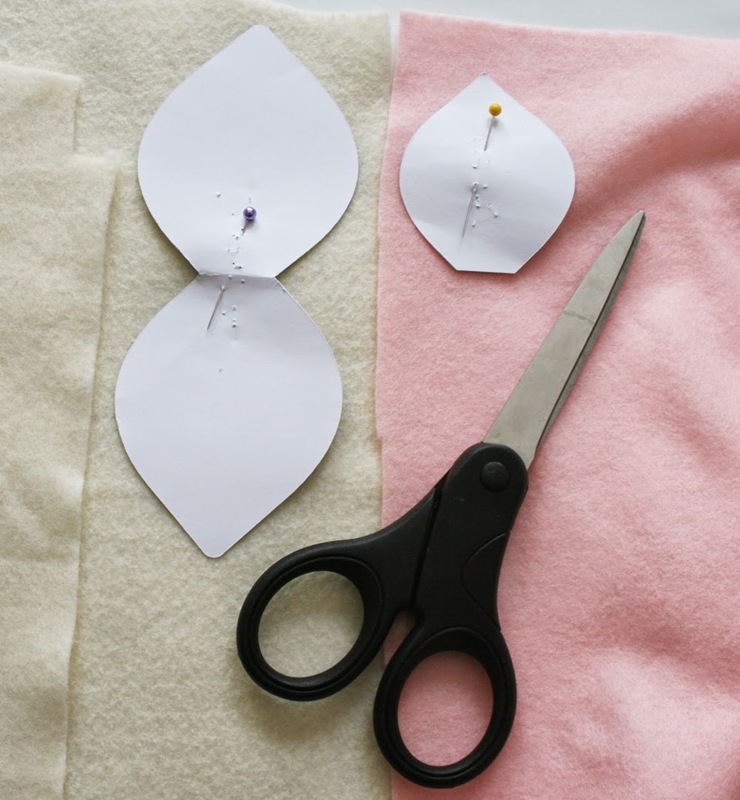 Use a paper template to cut out the ears and the middle of the ears. Make sure the main ear piece is connected. 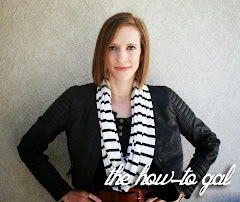 This allows you to wrap it around the headband. 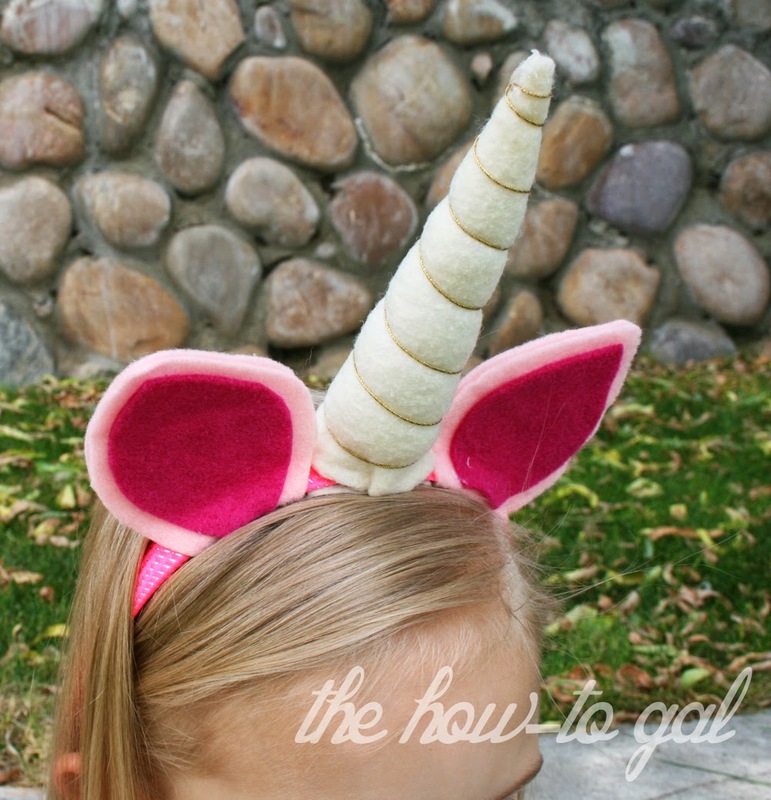 Glue the horn and the ears to the headband. 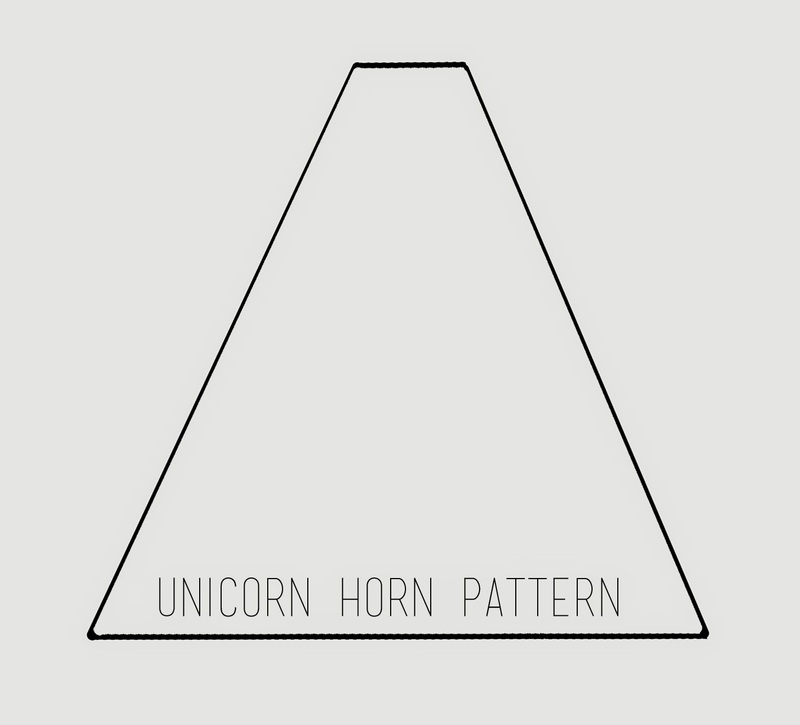 Use another circle on the underside of the horn that slightly folds up onto the horn to keep it sturdy. Wrap the ears around the headband and glue together. 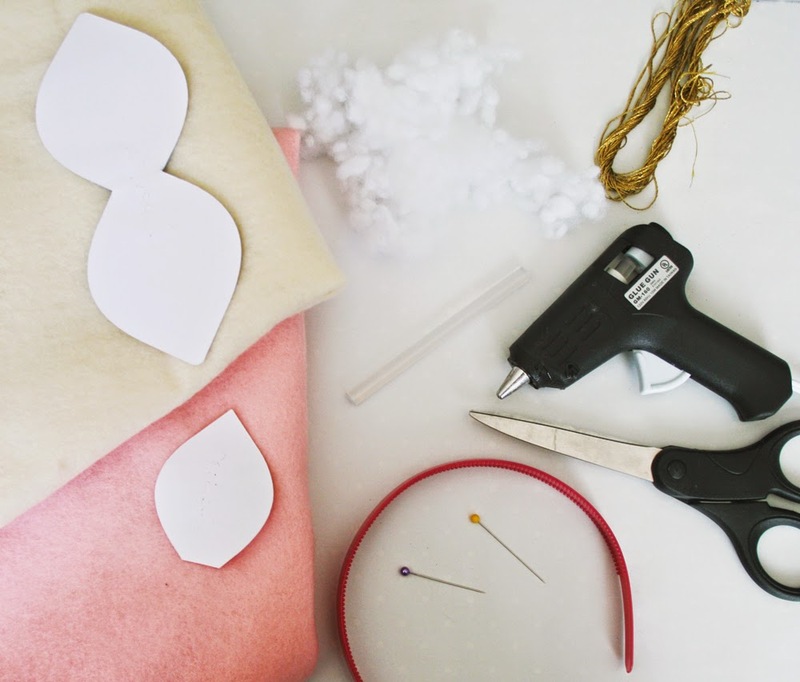 Then, glue the smaller, middle section of the ear to the front of the folded ear piece. The underside of the headband should look like this when you're finished. Before you know it, you'll have made 10 of these babies and you're little one will be the happiest birthday girl ever!! For more details about our My Little Pony Party, click HERE! Yes I am wondering how much felt you needed for how many headbands. I love this idea!! I just made 8 of them thanks to your amazing instructions!! So cute. Love it. Great tutorial, thanks for sharing. Thanks for this idea, now for the glue gun!! Is there an ears pattern? Thanks, I love this idea, it's going to look gorgeous (with a couple of adaptations for a pony's head). Made it far simpler than so many Pinterest ones I was looking at! Thank you! Thank you for one of the easiest tutorials ever, so easy to follow. These will be our giveaway on my daughter's unicorn theme birthday party. I like your article very much its really about true art and designing. Hey, I really Like your site. You have posted good informative content which I personally read and liked so much. I must say that you keep posting this type of information so that we may see the latest news. I'm sure you get a ton of spammy submissions so I'll get straight to the point - I'd love to submit a post for publishing on your site. Do let me know if you accept this kind of post and I can put together a list of ideas that might be helpful. Find the lowest price of huawei nova 3i price in pakistan. Daily updated prices. Find and Compare Prices from all online stores in Pakistan. The most authentic post ever i read about tis topic so far i must say you have cleared all the required info thank for sharing, keep up the good work and win new rewards at Your Survey Guide. Very useful information... Thank you... If you want to visit Pakistan.. do visit Hunza withHunza Valley Tours , we provide the best services. Have you any YouTube channel? The article was really great. Keep up the good work. Greetings from the Top notch SEO in Dubai. I really love the layout of this website and how perfectly the information provided with the help of clear and clean images. I enjoyed reading the content Tellthebell and appreciate your effort. With the help of this guide you will be able to download ShowBox for PC. what a nice post and yeah thanks for sharing such a great stuff and keep visiting the site https://kroger-feedback-survey.com/ for more information to win free $5000 gift cards with Kroger Inc.